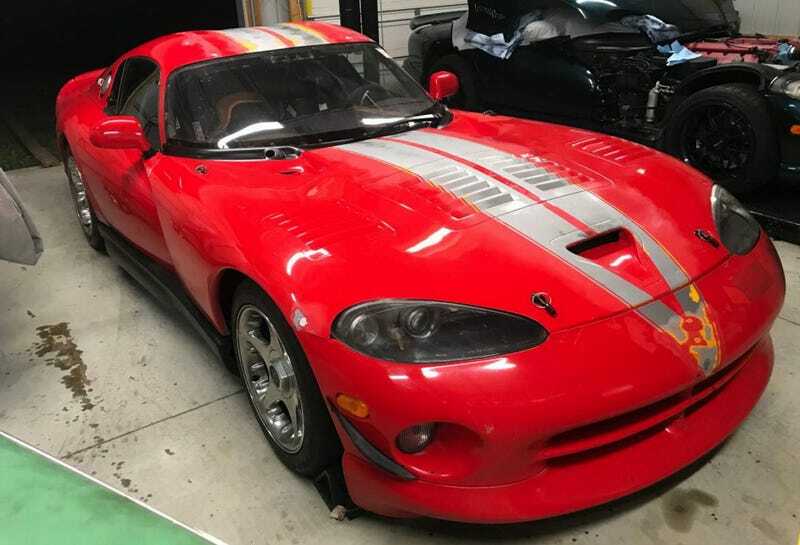 For $30,000, Could This Battle Worn 1997 Dodge Viper GTS Be Your Weekend Warrior? It’s long been said that “chicks dig scars.” Well, true or not, you might dig today’s Nice Price or Crack Pipe Viper regardless of your gender, as it shows some serious track taint. Let’s see if its price is likewise tainted. Slicker ’an a cat turd on a rainy day. That just so happens to be the official Daimler Benz description of the styling on their first generation CLS series. I think I read it in a media kit a few years back. We had a 2006 MB CLS 55 AMG on the block yesterday, along with its $10,999 price tag. That car was slick, but it also sported over 170,000 miles on the clock, and an expectation that somewhere down the road it would experience some sort of expensive mechanical malady. That possible future pain initially seemed to doom the car, but a late inning push turned the tide giving the car an eventual 52-percent Nice Price win. Hey, do you like Mickey Rourke? The actor debuted amazingly enough in the Spielberg clunker 1941. He’s had an up and down career since then, as well as a couple of stints as a professional boxer. That latter dalliance left him with a number of scars and the need for plastic surgery so he didn’t frighten small children with his appearance (NSFW). I only mention Rourke because he’s been able to maintain a viable career even with his altered looks, and that makes him a good reference point for this equally pugnacious 1997 Dodge Viper GTS. Now, we all love the first generation GTS, right? The coupe version of the Viper roadster has all that car’s balls—450 ponies, a general disregard for human life, etc.—but in an enclosed body that’s both more practical and hella amazing looking. This one however, has seen better days. Actually, it’s seen track days. According to the ad, the car was stripped and then refitted as a track day car. The present owner picked it up in June of this year and has worked on bringing it back to street sensibility. That means the reinstallation of glass where Lexan once stood. It should be noted that the windscreen still needs to be refitted. The bodywork is beat to hell but seemingly all solid save for the rear bumper. That’s okay though since a good bumper comes with the car. The paint is worn through the poly in places, and its face looks like a five-year old with a snotty schnoz. The interior is similarly rough, with missing finishers under the hatch and holes drilled in the dash. A Sperco quick release tiller faces the solid looking driver’s seat which features four-point belts. There’s no roll cage in the car at all. There’s also no A/C at the moment, but the pieces to reinstall the system are there. Mods are as follows: engine has accufab 70mm TBs, ported heads, t&d 1.7 roller rockers, headers, magnaflow catback with no cats, big aluminum radiator, new power steering pump w/ billet pulley and coolers up front. Tuned by gjon at power plant Motorsports to the tune of 500hp/550tq with available dyno sheet. Rebuilt t56 with under 700 miles on it since rebuild. Quaife diff with 3.07s, toms 40mm calipers in the back, new rear sway bar end links and other misc components replaced, fresh alignment. Runs, drives, sounds and stops awesome. I drive it 100+ miles every time I get in it. I kept reading, and hopefully so did you. This is a unique opportunity to own a Viper GTS. It hasn’t been babied, not by a long shot, and it’s a long way from concourse condition, but then so is Mickey Rourke and he seems to make do just fine. The price for the car, the extra rear bumper, and the A/C components comes out to $30,000. That makes this a cheap GTS, but an expensive project car. That doesn’t mean that someone with a little wrenching ability under their belt—and the gumption to take on such a project—couldn’t make a go of it. The question is: should they? What do you think, does this track day Viper seem worth that $30,000 asking as it’s described? Or, is this former racer priced to DNF? South New Jersey Craigslist, or go here if the ad disappears. These Stories Can't Be Beat Either! At $10,999, Could This High-Mileage 2006 Mercedes CLS 55 AMG Prove Four Is More?